In the last years, especially in Northern Italy, there are many more civil weddings than in past times. In such town as Verbania, Como, Verona, Orta San Giulio and Stresa, civil bendings are more than religious ones. 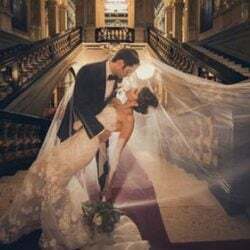 Among the reasons that determined this new trend there: second weddings, that can be celebrated only at the town hall, the open-mindedness and swiftness of this kind of bending and also the increasing number of Destination Weddings. Many think that civil weddings are less expensive and less formal than one celebrated in the church. But for sure it is not less important! It is definitely a very important a sacred celebration equivalent to swear in a court. In fact Italian Law wants two witnesses present to the ceremony to be a guaranty, with their sign, of the absolute legitimacy of the bending that will bond between bride and groom. In effect, civil ceremony is a celebration that has to be done in perfect agreement with Italian Laws instead of religious ones. Civil bendings can be celebrated by mayors, or delegates and has to be done in authorized venues such as Town Halls, but also Villas, Castles, Hotels or even Garden, but all those places have to be authorized. Your civil bending could be enriched by the beauty of many Town Halls, unforgettable villages, sinuous hills and hospitality of the ones who host bridegrooms for the celebration at the Town Hall. For the couples that wish to celebrate their wedding on Lake Orta or Lake Maggiore, civil bending is available in almost every town: Stresa, Orta San Giulio, Verbania, Arona, Oleggio Castello, Baveno, Cannero Riviera, Laveno, Luino, Angera and Mergozzo. For a real fairy tale wedding the most wanted venues are Villa Bossi, Castello Dal Pozzo and Villa San Remigio. Villa Bossi is in the ancient village of Orta San Giulio just on the lakeshore and in front of St. Julius Island. In Villa Bossi, Orta San Giulio Town Hall gives couples coming from all over the world, to say “YES” living a charming atmosphere that only this village offers. The most wanted way to reach the town hall is by boat for sure! You will be accompanied by the soft sound of the waters and from the magnificent façades of villas that provide a unique frame for your big day. An idyllic scenario that you will remember forever. Many tourists come here once they just fall in love with the place and decide to come again to celebrate their civil bending. Castello Dal Pozzo is in Oleggio Castello, in a strategic position between Lake Maggiore and Lake Orta. There are many reason to choose this solution for a civil bending. It is right into a secular park, the castle is a real English-style venue from gardens to furniture, fro the little lake to the family chapel in Tudor style. 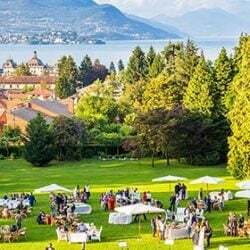 Moreover the castle allows their guests to appreciate a spectacular panorama on Lake Maggiore and use the wonderful rooms to organize the wedding reception. Civil celebrations at Castello Dal Pozzo are held in the ancient family library, an elegantly furnished room with precious ceiling and documents. Castello dal Pozzo is the perfect venue to live just like in a fairy tale, just like in a dream. The third most important venue for a beautiful civil bending in Lake District is surely Villa San Remigio in Verbania Pallanza. It is right into the green area of Castagnola hill, by famous Botanic Gardens of Villa Taranto. Villa San Remigio is a magical place that will add a touch of emotion to an unforgettable day. In Villa San Remigio civil bendings are celebrated in the Sala della Musica (Music room) among frescoes, antique furniture a grand fireplace and a stunning piano. 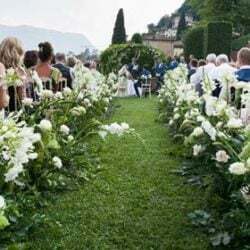 Italian Lakes Wedding can help you arrange all types of weddings: a valid civil wedding, religious wedding, catholic or protestant, symbolic or orthodox ceremonies or a simple blessing. There are necessary papers to be drawn up and presented to the local authorities. These documents vary according to the type of ceremony and the nationalities of the bride and groom. 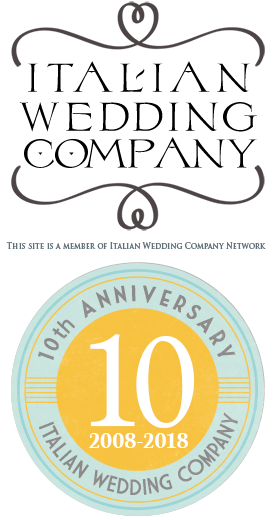 Italian Lakes Wedding has long experience in working with these documents and can guide you smoothly through the process. We am currently organising our wedding and are interested in the linked venue on the West Coast of Scotland, Balinakill Country House. Has anybody any experience of the area? The Venue? Looks perfect for what we want, but live down south, so any information would be appreciated ..
as planner we usually work on Italian country. I’m afraid we could only help you if you would decide to come in Italy to arrange your wedding. I hope you could find a good way to arrange that. We wish you all our best!